Trade surveys show that, Ireland’s recovery needs to be led by increased exports. Growth opportunities exist in overseas emerging markets, provided companies take care to secure payment. Banking payment processes can secure both the exporter and buyer. Buyers look for security of delivery of goods on time and to proper specification. Selling on open account to emerging overseas markets may have been feasible in the past, but vastly greater credit risks are now being encountered due to rapidly declining trade globally. The surveys have highlighted: management of company cash flow as the number one priority for most companies in this difficult economic environment. 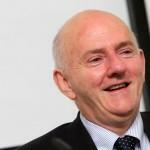 What can Irish exporters do to minimise bad debt risks while continuing to grow their business into new markets? One way of reducing risk and improving the collection process is to use more secure methods of payment. Companies can avail of well established Trade Finance payments methods to secure prompt payment for their goods. Getting paid in advance is ideal, but this is rarely possible in emerging markets. Next to advance payment, the best payment process is a Letter of Credit (L/C). An L/C contract is often a requirement under the importing country’s exchange control and import licence regulations. Essentially, in an L/C contract, the buyer’s credit risk is replaced by the commitment of payment by the buyer’s bank (issuing bank). The buyer’s bank provides a bank undertaking to pay, under the rules of the International Chamber of Commerce (ICC). If the L/C is confirmed, the conditional guarantee is further underwritten by a the exporter’s bank,( at an additional cost to the exporter). Exporters often dislike L/C’s because of the difficulty in complying with the terms of the credit, but with proper training or support, companies rarely experience difficulties. 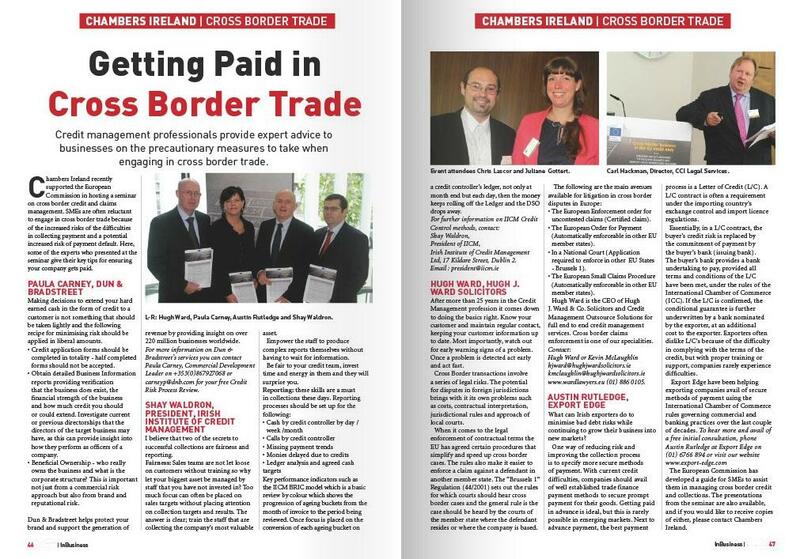 Export Edge were commissioned by the International Chamber of Commerce to develop on-line training and reference products in relation to Letters of Credit practice. These products have been used by thousands of personnel within international banking and multinational trading groups across the world. 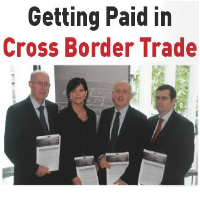 Export Edge have been helping exporting companies avail of secure methods of payment using the International Chamber of Commerce rules governing commercial and banking practices over the last two decades. To date, Export Edge have managed in excess of $400 million of L/C contracts on behalf of their clients.